We’re delighted to be among a select group of companies taking part in Financial Planning Week 2017. Running from 8th to 12th May, the annual Financial Planning Week is a national campaign to help engage people with their money and raise awareness of the importance of financial planning. Run by the not-for-profit Chartered Institute for Securities & Investment (CISI), the campaign sees some of the UK’s leading financial planning firms offering free consultations to help consumers better understand their finances. We will be offering free, one-hour consultations via phone or as ‘virtual online’ meetings via webcam which can be booked in advance for the week commencing 8th May. If you think you, or anyone you know could benefit from one of these free sessions, just call us on 0800 6906 247, email or simply book online. The free, one-hour money management sessions offer a chance for a one-to-one meeting with a qualified Chartered Financial Planner who can answer any money questions you have, help you identify your biggest financial priorities and explain the steps you need to put in place to achieve your goals. Financial Planning Week is a great opportunity for us to help people in the local area with their finances and work through how they can best achieve their goals in life. We want to help people re-connect with their money, better understand their financial options and take the rights actions towards their goals. CISI hope the campaign will shine the spotlight on ‘financial planning’ and how this differs to ‘financial advice’. Financial planning helps people to organise their money to achieve specific life goals, whereas ‘financial advice’ focuses more on financial products. Nationwide, last year’s campaign helped over 500 people with their financial planning issues. “Financial planning is a relationship-based process, which aims to help everyone, no matter what their age or financial circumstances. It allows those with money to plan their spending and saving wisely, but also those without, to work with a qualified financial professional who can support them in reaching their financial goals. Financial planners do not just work with wealthy individuals,” said Jacqueline Lockie, Deputy Head of Financial Planning at CISI. 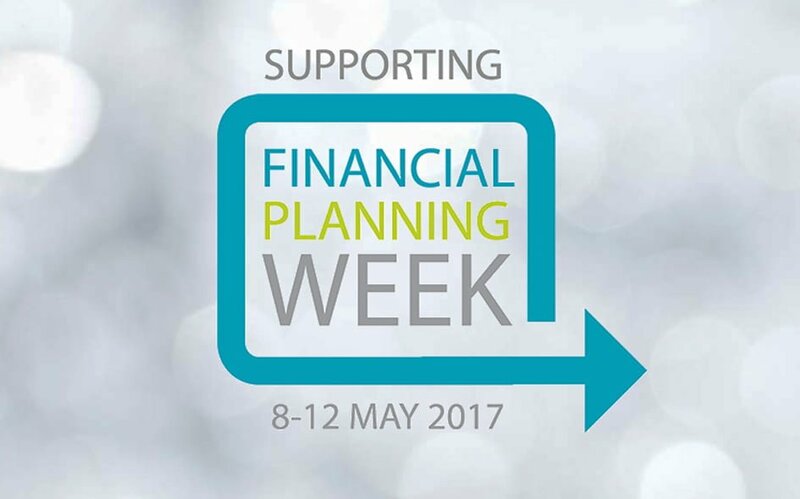 More information about Financial Planning Week can be found on the CISI website . For more information and to book in your free consultation with us, please visit our dedicated Financial Planning week page.